Nothing can fully prepare you for the possibility and inevitability of having a child prematurely. If you’re having a normal, uneventful, low-risk pregnancy you probably don’t even know much about preterm labor and delivery. Even those that are at high risk often don’t discuss preterm birth and any subsequent complications with their provider. The March of Dimes is hoping to change this on November 17 with World Prematurity Awareness Day. 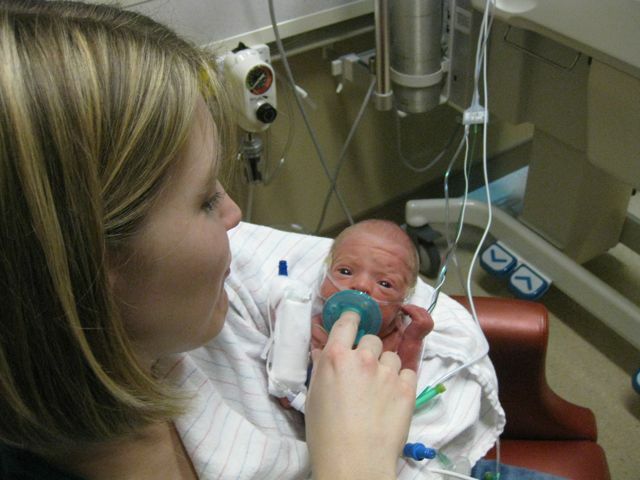 With Cakes I was healthy and low-risk and the thought of preterm labor never crossed my mind. I was having a dream pregnancy with zero complications right up until the moment things weren’t so easy and got a whole lot more complicated. I had an unexplained placental abruption and despite my doctor’s best efforts to prolong my pregnancy, I delivered Cakes at 31 weeks. Cakes spent 40 long days in the Neonatal Intensive Care Unit (NICU) and even after coming home was still at risk of landing back in the hospital again due to any number of things but our primary concern was Respiratory Syncytial Virus (RSV). Even with recent declines in prematurity rates, 1,400 babies are born prematurely in the Unites States every day, and 13 million babies are affected by prematurity around the world. Premature babies are those that are born before 37 completed weeks of gestation and this stalls a baby’s continued development in the womb, and possibly stunts the growth of some critical organs. 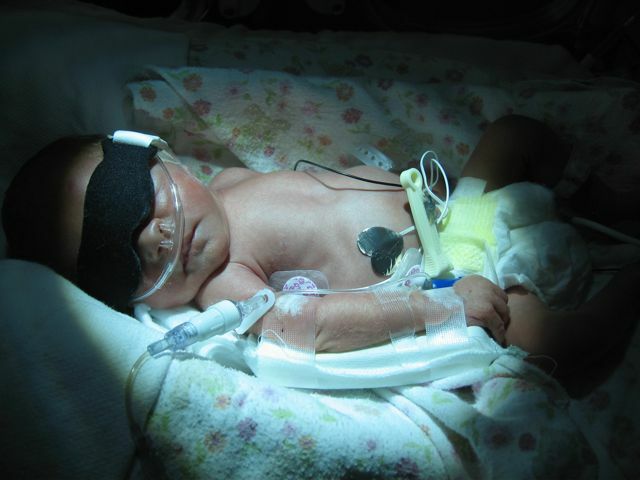 From the time they’re born, preemies often have trouble breathing, feeding, and maintaining body temperature. Every extra day makes a difference in a baby’s physical development and development of their immune system. Even if you’re fortunate to ensure your baby gets steroids before delivery (and I was), a premature baby’s lungs are still prematurity and susceptible to viruses and infections which lead to respiratory issues. Whereas nearly every baby contracts RSV by age two, in full-term babies symptoms are not nearly as serious and are more similar to the common cold. These parents might not even realize their child has the virus. Babies that are premature are at an increased risk for RSV and more serious symptoms which often result in hospitalization because of their underdeveloped lungs. In many cases, premature infants are eligible to receive Synagis shots through their first RSV season to help protect them. Parents should consult with their doctor to find out their child’s risk of developing RSV and for suggestions on prevention this winter. RSV seasons varies based on your location, consult www.rsvprotection.com to learn the months your area is at the highest risk and to learn more about RSV. Awww! What a precious little Cakes! Her soothie is almost as big as she is. Thank you for spreading awareness about RSV and prematurity! I can relate, my son was born 5 weeks early. I am so glad that Cakes is happy & healthy now. 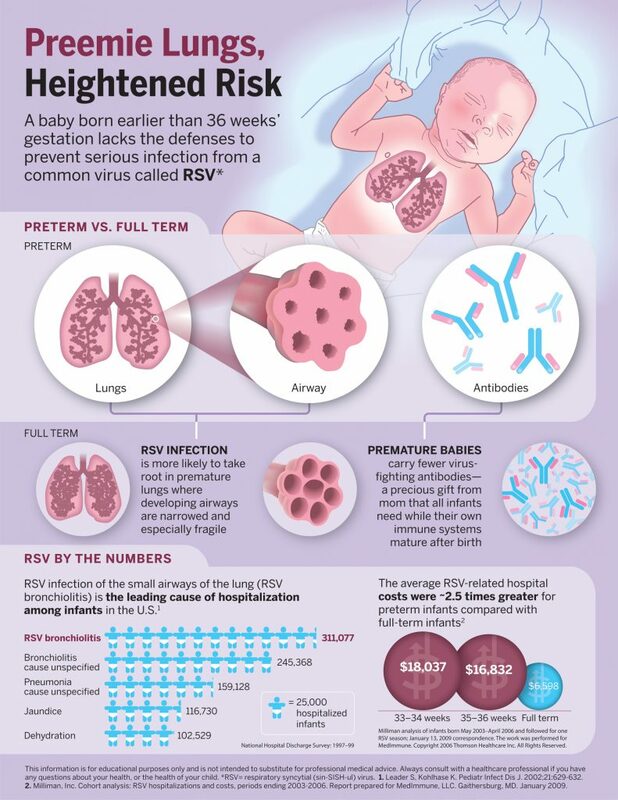 I honestly had never heard of RSV until reading this post–this is really good information. It’s hard for me to remember how tiny my twins were when they were born. I was looking through their pictures today and it feels like a lifetime ago. I’m so glad you’re NICU story had a happy ending like mine. I am so glad your story turned out well. Oh my goodness, look how little Cakes was. I’m so glad everything turned out okay with Baby Cakes. Ooh, your poor little baby…so teeny 🙁 I’m so happy Cakes is now thriving and happy…what a scare it would be for a mom to go through.